Karen Tina Harrison has been a New York City-based lifestyle journalist for her entire career. 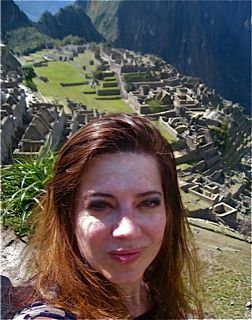 She has covered travel since the last millennium, with luxury travel assignments that have taken her around the globe. KT (that's what her friends call her) started out as a copywriter and beauty editor for magazines like Sassy, then became a freelance newspaper reporter specializing in careers, style, dining, and travel. She has contributed to numerous New York City guidebooks, to New York papers including The New York Times, and to glossies such as Travel + Leisure and Budget Travel. As a dining critic, KT has authored scores of restaurant reviews for New York magazine, Time Out New York, and New Jersey Monthly, where she is the North Jersey critic. Before becoming Luxury Travel Expert at About.com, KT was a longtime contributor to honeymoons.about.com. KT liked school. She earned a B.A. from Barnard College of Columbia University, an M.A. from the Annenberg School for Communication at the University of Pennsylvania, and a certificate from the Sorbonne, University of Paris. What's Better for Your Vacation: Villa Rental or Luxury Hotel? Why Are There So Many Books & Movies About Grand Hotels?